Buy New Flats Rajarhat, Kolkata Loharuka Green Enclave new flat price rate costs charges 1 BHK Flat 2 BHK 3 BHK Flat Rooms size area Green Enclave flats booking online, Rajarhat, Kolkata Green Enclave Buy Flat details of Green Enclave Rajarhat, Kolkata housing project, Property & Real Estate information, 1BHK 2 BHK Flat Size Price & Facilities of Green Enclave Flats in Rajarhat, Kolkata. Green Enclave at Rajarhat, Kolkata has given the opportunity to the people of Kolkata and across Bengal to buy new flat at Rajarhat, Kolkata of Loharuka Real Estate Company. Those who are looking for New Property / Flat / House nearby New Town, Salt Lake Sector-V, Chinar Park, City Centre – 2, Haldirams, Baguiati, VIP Road areas of Kolkata at cheap price rate; can now contact the head office of Loharuka to book new flat of Green Enclave, Rajarhat, Kolkata. Let’s check out more details on Green Enclave, Rajarhat, Kolkata. • Features Facilities & Advantages of Green Enclave Housing Project, Rajarhat, Kolkata: - Jogging Track, Lift Service, Swimming Pool, Lush green landscaped lawn, community hall, gymnasium, children’s play area, CCTV for Security reasons, intercom for security safety, 24-hours water supply, 24-hours power backups, and many other common facilities are available at Green Enclave, Rajarhat, Kolkata Housing Apartments of Loharuka. • Green Enclave Rajarhat, Kolkata Flat Size, Price / Rate / Costs / Charges: - There are several types of flats are available at Green Enclave like 1-BHK flat, 2-BHK flat, 3-BHK flat etc and the Green Enclave Flat price at Rajarhat, Kolkata are varies depending on the Flat Size. Finance and Bank Loan facility is available at Green Enclave Housing Project for the buyers. Budget Homes in a Gated Complex starts only at Rs.26.19 Lacs. 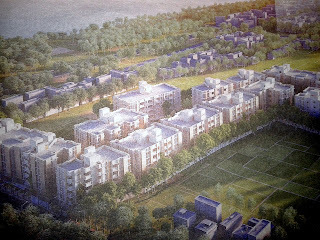 • Green Enclave Housing Project Site Address / Location: - Rajarhat, Kolkata. • Loharuka Head Office Phone Contact Number: - 98749-84488 / 98360-02288. • Loharuka website: - www.loharukagroup.com. • Flat Booking Process at Green Enclave, Rajarhat, Kolkata: - Interested people are requested to contact Loharuka Developer over phone (9836002288 / 9874984488) or by email at marketing@loharukagroup.com. For further details please visit Loharuka Developer’s website www.loharukagroup.com. It is recommended to the peoples, who want to buy flats at Rajarhat, Kolkata (or nearby areas like VIP Road, Haldirams, CC2, Chinar Park, Eco Park, Wax Museum, New Town, Sector-V Salt Lake), to contact Loharuka as soon as possible to fill-out new flat booking forms of Green Enclave of Rajarhat, Kolkata or to know whether any discount / offer is going on new Green Enclave flat prices at Rajarhat, Kolkata. Rajvatika Joka, Kolkata Flat & Bungalow Size Price & Facility Details - Buy New Flats of Rabhasa Builders Pvt. Ltd.
Buy New Flats & Bungalow Joka, Kolkata Rabhasa Builders Pvt. 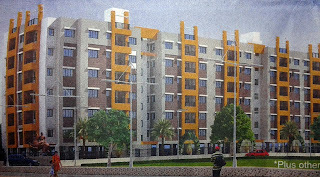 Ltd. Rajvatika Bishnupur new flat price rate costs charges 1 BHK Flat 2 BHK 3 BHK Flat Rooms size area Rajvatika flats booking online, Joka, Kolkata Rajvatika Buy Flat & Bungalow details of Rajvatika Joka, Kolkata housing project, Property & Real Estate information, 1BHK 2 BHK Flat Size Price & Facilities of Rajvatika Flats & Bungalow in Bishnupur Joka, Kolkata. Rajvatika at Joka, Kolkata has given the opportunity to the people of Kolkata and across Bengal to buy new flat or Bungalow at Joka, Kolkata of Rabhasa Builders Pvt. Ltd. Real Estate Company. Those who are looking for New Property / Flat / House / Bungalow nearby Behala Thakurpukur, Joka areas on Diamond Harbour Road (D.H. Road) of South Kolkata at cheap price rate; can now contact the head office of Rabhasa Builders Pvt. Ltd. to book new flat of Rajvatika, Joka, Kolkata. 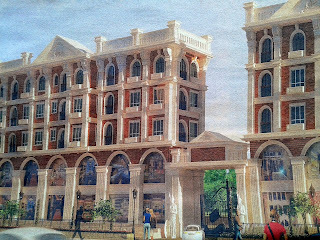 Let’s check out more details on Rajvatika, Joka, Kolkata. Rajvatika Residential Complex of Kolkata, a royal living environment, is spread on 70% open space, within close proximity to the City of Joy (Kolkata) and developed in a peaceful pollution free locality exclusively for you. • Features Facilities & Advantages of Rajvatika Housing Project, Joka, Kolkata: - Separate Shopping & Entertainment zone, Grand Club facilities including swimming pool, banquet, indoor games room, Gym, Round-the-Clock water supply, 24x7 Medical services including Doctor On Call and Ambulance, 24x7 3-tier Security, Utilization of alternate source of Energy, Pollution Free transport service up to D.H. Road, and many other common facilities are available at Rajvatika, Joka, Kolkata Housing Apartments of Rabhasa Builders Pvt. Ltd.. The central entertainment zone of Rajvatika Housing Complex of Kolkata is designed such that one can celebrate & share their moments with family & friends, experience the world of culinary delights & exciting entertainment facilities. • Rajvatika Joka, Kolkata Flat & Bungalow Size, Price / Rate / Costs / Charges: - There are several types of flats & Bungalow are available at Rajvatika like 1-BHK flat, 2-BHK flat, 3-BHK flat etc and the Rajvatika Flat price at Joka, Kolkata are varies depending on the Flat & Bungalow Size. Finance and Bank Home Loan facility is available at Rajvatika Housing Project for the buyers. Types of Bungalow at Rajvatika, Kolkata - 3BHK Bungalows with 1129 sq. ft price only Rs.32.5 lacs –AND- 4-BHK Bungalows with 1760 sq. ft. Price only Rs.49.5 lacs. Apart from 3BHK & 4BHK Bungalows, there are 1/2/3 BHK Apartments (flats) also available at Rajvatika Housing Complex, Kolkata. • Rajvatika Housing Project Site Address / Location: - Diamond Harbour Road, Beside G.D. Pharmaceutical, Bishnupur, Joka, Kolkata. Rajvatika Project of Kolkata is located only 10-minutes far from upcoming Joka Metro Station and IIM, Joka. • Rabhasa Builders Pvt. Ltd. Head Office Address: - 23, Rustomji Street, Kolkata-19. • Rabhasa Builders Pvt. Ltd. Head Office Phone Contact Number: - 033-4052-7575 / 8336957499 / 033-4006-4694. • Rabhasa Builders Pvt. Ltd. website: - www.rajvatika.com / www.bloomsburyinfra.in. • Bungalow & Flat Booking Process at Rajvatika, Joka, Kolkata: - Please contact Rabhasa Builders Kolkata Office or at Site address for booking. Remember, first 150 Buyers stands a chance of winning FREE Bungalow or Apartment at Rajvatika. It is recommended to the peoples, who want to buy flats & Bungalow at Joka, Kolkata (or nearby areas like D.H. Road, Behala, Thakurpukur, Joka, Bishnupur), to contact Rabhasa Builders Pvt. Ltd. as soon as possible to fill-out new flat & Bungalow booking forms of Rajvatika of Joka, Kolkata or to know whether any discount / offer is going on new Rajvatika flat & Bungalow prices at Joka, Kolkata. Buy New Flats Teghoria, Kolkata Pearl Realty Projects Shivoham Residency new flat price rate costs charges 2 BHK 3 BHK Flat Rooms size area Shivoham Residency flats booking online, Teghoria, Kolkata Shivoham Residency Buy Flat details of Shivoham Residency Teghoria, Kolkata housing project, Property & Real Estate information, 1BHK 2 BHK Flat Size Price & Facilities of Shivoham Residency Flats in Teghoria, Kolkata. Shivoham Residency at Teghoria, Kolkata has given the opportunity to the people of Kolkata and across Bengal to buy new flat at Teghoria, Kolkata of Pearl Realty Projects Real Estate Company. Those who are looking for New Property / Flat / House nearby Dum Dum Airport, Baguiati, Kaikhali, Haldirams & VIP Road areas of North Kolkata at cheap price rate; can now contact the head office of Pearl Realty Projects to book new flat of Shivoham Residency, Teghoria, Kolkata. Let’s check out more details on Shivoham Residency, Teghoria, Kolkata. • Features Facilities & Advantages of Shivoham Residency Housing Project, Teghoria, Kolkata: - Jogging Track, Magazine Booth, Market [Vegetables, & Non-Veg items within the complex], Lift Service, Swimming Pool, Lush green landscaped lawn, community hall, gymnasium, children’s play area, CCTV for Security reasons, video door phone for security safety, 24-hours water supply, 24-hours power backups, and many other common facilities are available at Shivoham Residency, Teghoria, Kolkata Housing Apartments of Pearl Realty Projects. • Shivoham Residency Teghoria, Kolkata Flat Size, Price / Rate / Costs / Charges: - There are several types of flats are available at Shivoham Residency like 2-BHK flat, 3-BHK flat etc and the Shivoham Residency Flat price at Teghoria, Kolkata are varies depending on the Flat Size. Finance and Bank Loan facility is available at Shivoham Residency Housing Project for the buyers. 2BHK flat size (920-970 sq. ft on-wards) & 3BHK flat size (1531-1606 sq. ft. on-wards) and the flat price of Shivoham Residency, Teghoria (Kolkata) starts from 39 Lakhs on-wards. • Shivoham Residency Housing Project Site Address / Location: - Opposite Haldiram’s, VIP Road, Teghoria, Kolkata. Shivoham Residency is located on VIP Road and only 1.5kms away from Dumdum Airport, 1kms from Rajarhat City Center 2, 200m from Charnock Hospital and 10kms from Salt Lake Sector-V.
• Shivoham Residency Teghoria, Kolkata Real Estate Project Phone contact number: - 83370-06006. • Flat Booking Process at Shivoham Residency, Teghoria, Kolkata: - Flat booking process is going on at Shivoham Residency of Teghoria (Kolkata) and for limited period of time, developer offering Free Car with every purchase. It is recommended to the peoples, who want to buy flats at Teghoria, Kolkata (or nearby areas like VIP Road, Haldiram’s, Airport, Baguiati, Kaikhali, CC2), to contact Pearl Realty Projects as soon as possible to fill-out new flat booking forms of Shivoham Residency of Teghoria, Kolkata or to know whether any discount / offer is going on new Shivoham Residency flat prices at Teghoria, Kolkata. Buy New Flats Pailan, Kolkata Team Taurus The County new flat price rate costs charges 1 BHK Flat 2 BHK 3 BHK Flat Rooms size area The County flats booking online, Pailan, Kolkata The County Buy Flat details of The County Pailan, Kolkata housing project, Property & Real Estate information, 1BHK 2 BHK Flat Size Price & Facilities of The County Flats in Pailan, Kolkata. The County at Pailan, Kolkata has given the opportunity to the people of Kolkata and across Bengal to buy new flat at Pailan, Kolkata of Team Taurus Real Estate Company. Those who are looking for New Property / Flat / House nearby Behala, Joka, Thakurpukur, Pailan areas of South Kolkata at cheap price rate; can now contact the head office of Team Taurus to book new flat of The County, Pailan, Kolkata. Let’s check out more details on The County, Pailan, Kolkata. • Features Facilities & Advantages of The County Housing Project, Pailan, Kolkata: - Jogging Track, Magazine Booth, Market [Vegetables, & Non-Veg items within the complex], Lift Service, Swimming Pool, Lush green landscaped lawn, community hall, gymnasium, children’s play area, CCTV for Security reasons, video door phone for security safety, 24-hours water supply, 24-hours power backups, and many other common facilities are available at The County, Pailan, Kolkata Housing Apartments of Team Taurus. • The County Pailan, Kolkata Flat Size, Price / Rate / Costs / Charges: - There are several types of flats are available at The County like 1⅟2-BHK flat, 2-BHK flat, 2⅟2 BHK Flat and 3-BHK flat (Apartments) etc and the The County Flat price at Pailan, Kolkata are varies depending on the Flat Size. Finance and Bank Loan facility is available at The County Housing Project for the buyers. 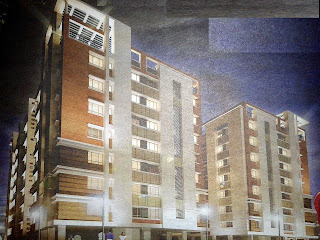 • The County Housing Project Site Address / Location: - Pailan, D.H. Road, Kolkata. • The County Pailan, Kolkata Real Estate Project Phone contact number: - 9836445533 (Arjun) and 9830522162 (Joy). • Team Taurus website: - www.teamtaurus.in. • The County, Pailan, Kolkata Residential Complex (Apartments): - Be a part of The County, Kolkata’s first Disney inspired Lifestyle Address at Pailan. The new towers launched and the construction is going on in full swing at The County Residential Complex of Pailan (Kolkata). It is recommended to the peoples, who want to buy flats at Pailan, Kolkata (or nearby areas like Behala, Joka, Thakurpukur, Pailan), to contact Team Taurus as soon as possible to fill-out new flat booking forms of The County of Pailan, Kolkata or to know whether any discount / offer is going on new The County flat prices at Pailan, Kolkata. Chowrastar Jamidari Rajarhat, Kolkata Flat Size Price & Facility Details - Buy New Flats of Realtech Nirman Pvt. Ltd.
Buy New Flats Rajarhat, Kolkata Realtech Nirman Pvt. 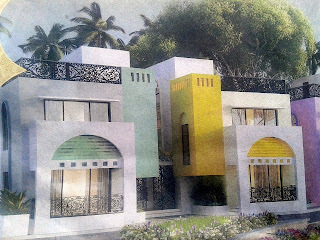 Ltd. Chowrastar Jamidari new flat price rate costs charges 1 BHK Flat 2 BHK 3 BHK Flat Rooms size area Chowrastar Jamidari flats booking online, Rajarhat, Kolkata Chowrastar Jamidari Buy Flat details of Chowrastar Jamidari Rajarhat, Kolkata housing project, Property & Real Estate information, 1BHK 2 BHK Flat Size Price & Facilities of Chowrastar Jamidari Flats in Rajarhat, Kolkata. Chowrastar Jamidari at Rajarhat, Kolkata has given the opportunity to the people of Kolkata and across Bengal to buy new flat at Rajarhat, Kolkata of Realtech Nirman Pvt. Ltd. Real Estate Company. Those who are looking for New Property / Flat / House nearby Rajarhat, Gopalpur, New Town, Salt Lake Sector-V, Haldiram, Chinar Park areas of Kolkata at cheap price rate; can now contact the head office of Realtech Nirman Pvt. Ltd. to book new flat of Chowrastar Jamidari, Rajarhat, Kolkata. Let’s check out more details on Chowrastar Jamidari, Rajarhat, Kolkata. • Features Facilities & Advantages of Chowrastar Jamidari Housing Project, Rajarhat, Kolkata: - Commercial Space, Natural Water Body, Jogging Track, Magazine Booth, Market [Vegetables, & Non-Veg items within the complex], Lift Service, Roof top splash Pool, Lush green landscaped lawn, community hall, gymnasium, children’s play area, CCTV for Security reasons, video door phone for security safety, 24-hours water supply, 24-hours power backups, and many other common facilities are available at Chowrastar Jamidari, Rajarhat, Kolkata Housing Apartments of Realtech Nirman Pvt. Ltd..
• Chowrastar Jamidari Rajarhat, Kolkata Flat Size, Price / Rate / Costs / Charges: - There are several types of flats are available at Chowrastar Jamidari like 1-BHK flat, 2-BHK flat, 3-BHK flat etc and the Chowrastar Jamidari Flat price at Rajarhat, Kolkata are varies depending on the Flat Size. Finance and Bank Loan facility is available at Chowrastar Jamidari Housing Project for the buyers. Flat price of Rajarhat Chowrastar Jamidari complex is starting from only 12.64 Lac onwards. 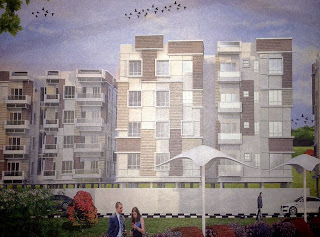 • Chowrastar Jamidari Housing Project Site Address / Location: - Rajarhat, Chowrasta, Kolkata. • Chowrastar Jamidari Rajarhat, Kolkata Real Estate Project Phone contact number: - 98747-59944 / 83340 80608 / 98307-79999 / 96747-79999. • Realtech Nirman Pvt. Ltd. website: - www.realtechnirman.com. It is recommended to the peoples, who want to buy flats at Rajarhat, Kolkata (or nearby areas like Haldiram, Chinar Park, Eco Park, Rabindra Tirtha, Wax Museum, Rajarhat, New Town), to contact Realtech Nirman Pvt. Ltd. as soon as possible to fill-out new flat booking forms of Chowrastar Jamidari of Rajarhat, Kolkata or to know whether any discount / offer is going on new Chowrastar Jamidari flat prices at Rajarhat, Kolkata. Maya Housing Complex Rajarhat Kolkata Flat Size Price & Facility Details - Buy New Flats of Realtech Nirmal Pvt. Ltd.
Buy New Flats Rajarhat, Kolkata Realtech Nirmal Pvt. Ltd. Maya Housing Complex new flat price rate costs charges 1 BHK Flat 2 BHK 3 BHK Flat Rooms size area Maya Housing Complex flats booking online, Rajarhat, Kolkata Maya Housing Complex Buy Flat details of Maya Housing Complex Rajarhat, Kolkata housing project, Property & Real Estate information, 1BHK 2 BHK Flat Size Price & Facilities of Maya Housing Complex Flats in Rajarhat, Kolkata. Maya Housing Complex at Rajarhat, Kolkata has given the opportunity to the people of Kolkata and across Bengal to buy new flat at Rajarhat, Kolkata of Realtech Nirmal Pvt. Ltd. Real Estate Company. Those who are looking for New Property / Flat / House nearby New Town, Rajarhat area of Kolkata at cheap price rate; can now contact the head office of Realtech Nirmal Pvt. Ltd. to book new flat of Maya Housing Complex, Rajarhat, Kolkata. This is the 2nd Phase of Maya Residency Complex and now let’s check out more details on Maya Housing Complex, Rajarhat, Kolkata. • Features Facilities & Advantages of Maya Housing Complex Housing Project, Rajarhat, Kolkata: - Landscaped Garden, Swimming Pool, 40% Open Area, Club House facility, Community Hall, AC Gym, Visitor Car Parking area, 24-hours water supply, 24-hours power backups, and many other common facilities are available at Maya Housing Complex, Rajarhat, Kolkata Housing Apartments of Realtech Nirmal Pvt. Ltd.. Maya – 2 Residential Complex of Rajarhat, Kolkata has all state-of-art amenities within the budget. • Maya Housing Complex Rajarhat, Kolkata Flat Size, Price / Rate / Costs / Charges: - There are several types of flats are available at Maya Housing Complex like 1-BHK flat, 2-BHK flat, 3-BHK flat etc and the Maya Housing Complex Flat price at Rajarhat, Kolkata are varies depending on the Flat Size. Finance and Bank Loan facility is available at Maya Housing Complex Housing Project for the buyers. 2-BHK Flat price of Rajarhat’s Maya-2 Housing Complex starts from 18.5 lakhs only. • Maya Housing Complex Housing Project Site Address / Location: - Well connected with Kolkata by road. Maya - 2 Flats of Rajarhat, Kolkata is only 15 minutes from Airport, 10 minutes from City Centre-2, 10 minutes from Eco Park, 10 minutes from proposed Metro Station, 20 minutes from Ultadanga (Bidhannagar)and only 15 minutes from Salt Lake Sector-V. Maya-2 Housing Complex is situated on Rajarhat 211 Bus Route. • Maya Housing Complex Rajarhat, Kolkata Real Estate Project Phone contact number: - 98747-59944 / 98307-79999 / 83340-30303 / 83348-89222. • Realtech Nirmal Pvt. Ltd. website: - www.realtechnirman.com. It is recommended to the peoples, who want to buy flats at Rajarhat, Kolkata (or nearby areas like New Town, Rajarhat, Eco Park, Chinar Park, CC2), to contact Realtech Nirmal Pvt. Ltd. as soon as possible to fill-out new flat booking forms of Maya Housing Complex of Rajarhat, Kolkata or to know whether any discount / offer is going on new Maya Housing Complex flat prices at Rajarhat, Kolkata. Buy New Flats Rajpur, Kolkata Atri Group Atri Green Residency new flat price rate costs charges 1 BHK Flat 2 BHK 3 BHK Flat Rooms size area Atri Green Residency flats booking online, Rajpur, Kolkata Atri Green Residency Buy Flat details of Atri Green Residency Rajpur, Kolkata housing project, Property & Real Estate information, 1BHK 2 BHK Flat Size Price & Facilities of Atri Green Residency Flats in Rajpur, Kolkata. Atri Green Residency at Rajpur, Kolkata has given the opportunity to the people of Kolkata and across Bengal to buy new flat at Rajpur, Kolkata of Atri Group Real Estate Company. Those who are looking for New Property / Flat / House nearby Mallickpur, Baruipur, Rajpur, Sonarpur, Narendrapur areas of South Kolkata at cheap price rate; can now contact the head office of Atri Group to book new flat of Atri Green Residency, Rajpur, Kolkata. Let’s check out more details on Atri Green Residency, Rajpur, Kolkata. • Features Facilities & Advantages of Atri Green Residency Housing Project, Rajpur, Kolkata: - Badminton Court, Landscaped Garden, AC Games Room, Celebration Deck for organizing Puja & other occasions, Intercom facility, Children Play Area, AC Gym, AC Community Hall, Yoga Deck, 24-hours water supply, 24-hours power backups, and many other common facilities are available at Atri Green Residency, Rajpur, Kolkata Housing Apartments of Atri Group. 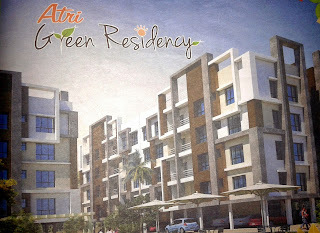 • Atri Green Residency Rajpur, Kolkata Flat Size, Price / Rate / Costs / Charges: - There are several types of flats are available at Atri Green Residency like 1-BHK flat, 2-BHK flat, 3-BHK flat etc and the Atri Green Residency Flat price at Rajpur, Kolkata are varies depending on the Flat Size. Finance and Bank Loan facility is available at Atri Green Residency Housing Project for the buyers. Total of 3 Blocks are there at Kolkata’s Atri Green Residency complex consisting 96 Flats size around 840 – 1120 sq. ft. Atri Green Residency, Rajpur (Kolkata) Flat price is starting from 19 Lakhs only and Home Loan can be organized of SBI, HDFC or IDBI Bank. • Atri Green Residency Housing Project Site Address / Location: - Extremely well-connected with Kolkata, because of its prime location. Mallickpur railway station, proposed Metro station and extended EM Bypass are only 5-15 minutes away. • Atri Green Residency Rajpur, Kolkata Real Estate Project Phone contact number: - 033-4040-1010 / 033-6620-1010. It is recommended to the peoples, who want to buy flats at Rajpur, Kolkata (or nearby areas like Baruipur, Mallickpur, Sonarpur, Subhasgram, Narendrapur, Rajpur of South Kolkata), to contact Atri Group as soon as possible to fill-out new flat booking forms of Atri Green Residency of Rajpur, Kolkata or to know whether any discount / offer is going on new Atri Green Residency flat prices at Rajpur, Kolkata. Buy New Flats Baranagar Kolkata Saket Promoters Dakkhin Kali new property flat price rate costs charges 1 2 3 BHK Rooms size area Dakkhin Kali flats booking online, Baranagar Kolkata Dakkhin Kali Buy Flat details of Dakkhin Kali Baranagar Kolkata housing project. Dakkhin Kali at Baranagar Kolkata has given the opportunity to the people of Kolkata and across Bengal to buy new flat at Baranagar Kolkata of Saket Promoters Real Estate Company. Those who are looking for New Property / Flat / House nearby Dunlop, Alambazar, Dakshineswar areas of North Kolkata at cheap price rate; can now contact the head office of Saket Promoters to book new flat of Dakkhin Kali, Baranagar Kolkata. Lift Service, Swimming Pool, Lush green landscaped lawn, community hall, gymnasium, children’s play area, CCTV for Security reasons, video door phone for security safety, 24-hours water supply, 24-hours power backups, and many other common facilities are available at Dakkhin Kali, Baranagar Kolkata Housing Apartments of Saket Promoters. There are several types of flats / accommodations are available at Dakkhin Kali like 1-BHK, 2-BHK, 3-BHK Rooms etc and the Dakkhin Kali flat price at Baranagar Kolkata are varies depending on the Flat Size. Finance and Bank Loan facility is available at Dakkhin Kali Housing Project for the buyers. Possession will be done by December 2013. 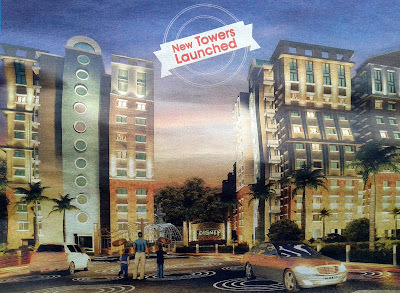 There are four towers named ‘Kali’, ‘Tara’, ‘Bhawani’ and ‘Uma & Gouri’ consisting of 2-BHK & 3-BHK residential flats. 2-BHK flat size ranging between 865-1067 sq. ft and the size of 3-BHK flats between 1270-1367 sq ft at Dakkhin Kali Residential Complex of Baranagar. 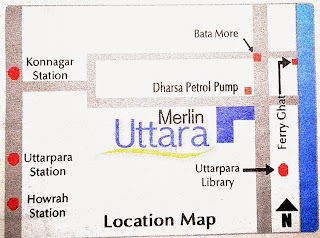 Dakkhin Kali Housing Project Site Address: - 12, Barrister P. Mitra Road, Baranagar, Near Kalitala Math, Kolkata-35. Saket Promoters Head Office Phone Contact Number: - 033-64582222 / 9830015088. Saket Promoters website: - www.saketpromoters.com. It is recommended to the peoples, who want to buy flats at Baranagar Kolkata (or nearby areas like Dakshineswar, Dunlop, Baranagar, Alambazar, Sinthi More), to contact Saket Promoters as soon as possible to fill-out new flat booking forms of Dakkhin Kali of Baranagar Kolkata or to know whether any discount / offer is going on new Dakkhin Kali flat prices. Buy New Flats Baranagar Kolkata Sapnil Developers Pvt. Ltd. Swapnil Residency new property flat price rate costs charges 1 2 3 BHK Rooms size area Sapnil Residency flats booking online, Baranagar Kolkata Sapnil Residency Buy Flat details of Swapnil Residency Baranagar Kolkata housing project. Sapnil Residency at Baranagar Kolkata has given the opportunity to the people of Kolkata and across Bengal to buy new flat at Baranagar Kolkata of Sapnil Developers Pvt. Ltd. Real Estate Company. Those who are looking for New Property / Flat / House nearby Alambazar, Tobin Road, Dakshineswar, Baranagar, Sinthi More areas of North Kolkata at cheap price rate; can now contact the head office of Sapnil Developers Pvt. Ltd. to book new flat of Sapnil Residency, Baranagar Kolkata. 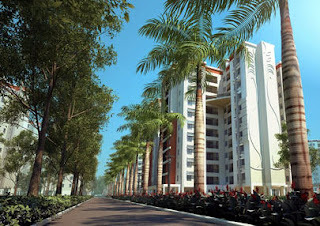 Lift Service, Swimming Pool, Lush green landscaped lawn, community hall, gymnasium, children’s play area, CCTV for Security reasons, video door phone for security safety, 24-hours water supply, 24-hours power backups, and many other common facilities are available at Sapnil Residency, Baranagar Kolkata Housing Apartments of Sapnil Developers Pvt. Ltd.. It’s beside River Ganga and within a kilometre distance from B.T. Road (Sinthi More). There are several types of flats / accommodations are available at Sapnil Residency like 2-BHK, 3-BHK Rooms etc and the Sapnil Residency flat price at Baranagar Kolkata are varies depending on the Flat Size. Finance and Bank Loan facility is available at Sapnil Residency Housing Project for the buyers. 2 BHK Flat Size is around 850-950 sq. ft & price ranging between Rs.27.2 lakh to Rs.30.4 lakh and the 3 BHK flat size is around 1100-1300 sq ft. area & price ranging between Rs.35.2 lakh to Rs.41.6 lakh. Residential apartments for sell at Swapnil Residency Complex of Baranagar (Kolkata) are around 92 [50 3BHK flats & 42 2BHK flats]. 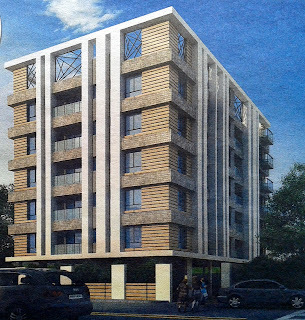 • Sapnil Residency Housing Project Site Address: - 10, B.L. Pal Street, Baranagar, Kolkata-36. • Sapnil Residency Baranagar Kolkata Real Estate Project Phone contact number: - 833505021 / 833505022 / 833505023 / 9143162318. It is recommended to the peoples, who want to buy flats at Baranagar Kolkata (or nearby areas like Dunlop, Tobin Road, Sinthee More, Alambazar, Baranagar, Dakshineswar), to contact Sapnil Developers Pvt. Ltd. as soon as possible to fill-out new flat booking forms of Sapnil Residency of Baranagar Kolkata or to know whether any discount / offer is going on new Sapnil Residency flat prices. Buy New Flats Barasat, Kolkata Bengal Shelter Housing Development Ltd Neeldiganta new property flat price rate costs charges 1 2 3 BHK Rooms size area Neeldiganta flats booking online, Barasat, Kolkata Neeldiganta Buy Flat details of Neeldiganta Barasat, Kolkata housing project. Neeldiganta at Barasat, Kolkata has given the opportunity to the people of Kolkata and across Bengal to buy new flat at Barasat, Kolkata of Bengal Shelter Housing Development Ltd Real Estate Company. Those who are looking for New Property / Flat / House nearby Madhyamgram, Hridaypur areas of North Kolkata at cheap price rate; can now contact the head office of Bengal Shelter Housing Development Ltd to book new flat of Neeldiganta, Barasat, Kolkata. Jogging Track, Magazine Booth, Market [Vegetables, & Non-Veg items within the complex], Lift Service, Swimming Pool, Lush green landscaped lawn, community hall, gymnasium, children’s play area, CCTV for Security reasons, video door phone for security safety, 24-hours water supply, 24-hours power backups, and many other common facilities are available at Neeldiganta, Barasat, Kolkata Housing Apartments of Bengal Shelter Housing Development Ltd. There are several types of flats / accommodations are available at Neeldiganta like 2-BHK, 3-BHK Rooms etc and the Neeldiganta flat price at Barasat, Kolkata are varies depending on the Flat Size. Finance and Bank Loan facility is available at Neeldiganta Housing Project for the buyers. Two types of Apartments are there – Bageshree [HIG] Apartment size between 1169 & 1351 sq. ft. [3 BHK Flats] and price starts from Rs.2500/- per sq. ft. The other one named Sohini [MIG] apartment flat size sq ft [2 BHK flats] price starts at Rs.1829/- per Sq ft.
• Neeldiganta Housing Project Site Address: - Barasat, Next to Loknath Mandir, Kolkata, North 24-Parganas. • Neeldiganta Barasat, Kolkata Real Estate Project Phone contact number: - 033-65221086. • Bengal Shelter Housing Development Ltd Head Office Address: - CB-63, Sector-1, Salt Lake, Kolkata-64. • Bengal Shelter Housing Development Ltd Head Office Phone Contact Number: - 033-23586428 / 033-40042372 / 9007641320. • Bengal Shelter Housing Development Ltd website: - www.bengalshelter.com. Flat Booking Application Forms are available at Bengal Shelter Housing Development Ltd Salt Lake Office, Neeldiganta Barasat Site Office and Bank of Baroda Branches [Syambazar, Baranagar & Ballygunje]. It is recommended to the peoples, who want to buy flats at Barasat, Kolkata (or nearby areas like Champadali, Dakbunglow, Badu Road), to contact Bengal Shelter Housing Development Ltd as soon as possible to fill-out new flat booking forms of Neeldiganta of Barasat, Kolkata or to know whether any discount / offer is going on new Neeldiganta flat prices.